But sensible, helpful resolutions to keep your guitar playing improving and advancing over the next year are a great idea. Here are seven that we reckon you can stick with and you won’t have to give up anything. You can even eat chocolate and cheese burgers while you rehearse… or maybe that’s not such a good idea. A lot people want to commit to practising every day or maybe something like at least three times a week—and never do, because life keeps getting in the way. It’s a solid concept and will definitely work, but the trick is to first carefully examine your daily routines and create a schedule that never clashes with anything else. You can use the Uberchord app to set reminders and goals, then once you get into an uninterrupted, regular routine your playing will improve for sure. 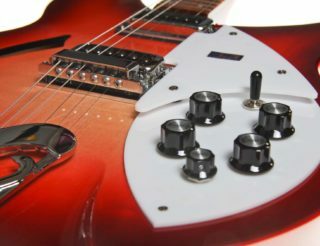 If you find some aspects of playing guitar too hard, the worst thing you can do is avoid it—like ignoring tricky barre chords or finger-picking rhythms. Instead, promise yourself that next year you’ll do the opposite and devote extra time to learning the more demanding techniques. It might not be as much fun as jamming over easier chords, but you really do have to push through the harder lessons to improve. Uberchord lets you create customised Daily Workouts and Exercises that can focus on difficult playing. Okay, now don’t be scared by this one. 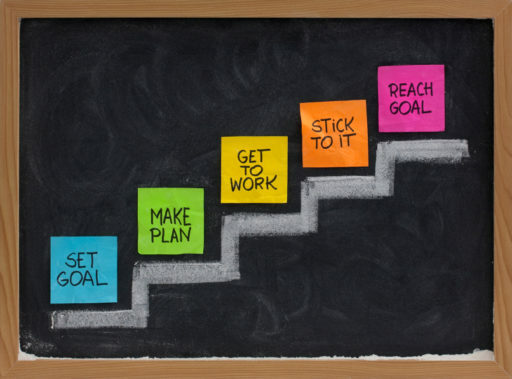 Setting a long-term goal can be motivating without the pressure of daily or weekly targets, however these goals can be a bit frightening. For instance, is there a local musician’s jam night (or “open microphone” night) where you can play your first-ever live performance in front of an audience? Is there a party coming up where you can launch your new-found guitar talent on your friends? Be brave, set a date or choose an occasion, and don’t quit at the last minute. 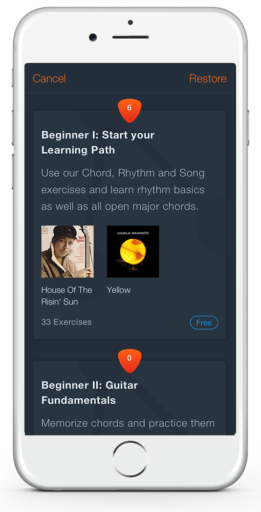 Create exercises and Daily Workouts in Uberchord specifically aimed at learning certain songs. 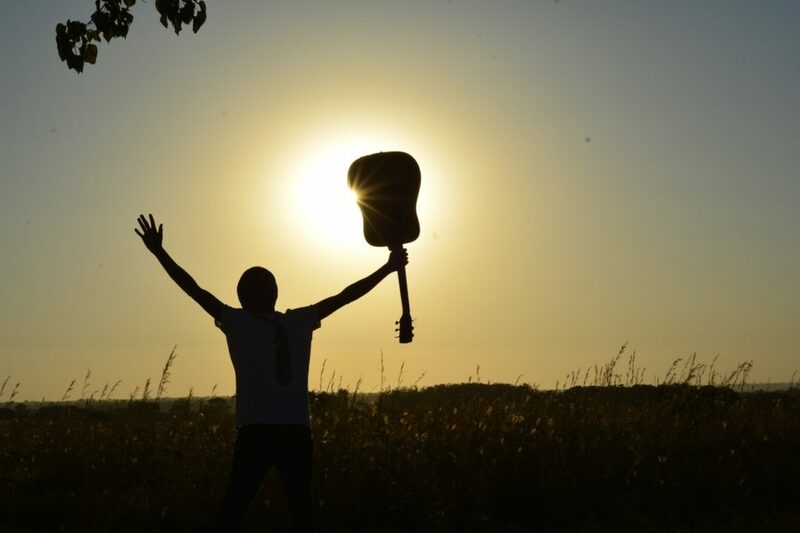 You can’t just play and sing to yourself forever—set a goal to take that nerve-wracking first step to playing in front of people. It could be the start of a whole new career! How about joining your first band with like-minded band friends? Don’t make the mistake of thinking you have to be good, before you’re allowed to join a band. There are always other novice musicians looking to try playing in a band. Being in a group gives you extra goals to aim for, it’s a lot of fun, and you encourage each other. That first recording contract might be closer than you think. A good New Year’s resolution can be something like, “I’m not going to buy that new effects pedal until I can play such-and-such”. You can think up several of these. 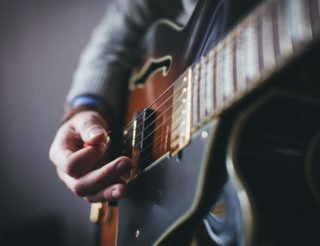 In other words, instead of avoiding learning the harder techniques, motivate yourself by offering a reward for improving your playing. You need to be tough on yourself and don’t cheat, but you’ll feel much more satisfaction knowing you’ve earned that new gadget by working through the tricky lessons and taking your playing to the next level. A lot of aspiring musicians will hate the way they sound, the first time they hear themselves play or sing, or maybe watch a home video. 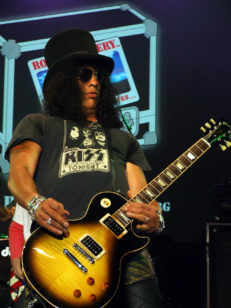 Don’t judge yourself too hard, it’s a weird but common thing that few people like the sound of their own performances. Instead, record yourself and use it as a tool to analyse your best and worst playing. Because otherwise, you can be too focused on trying to play and you can’t properly hear what you’re doing. You don’t need to book a session at Abbey Road Studios. A recording app on your smart phone or tablet will do. Of course, you’re always going to be listening to your favourite bands, your hero guitar players and those riffs that always get your nerves tingling. 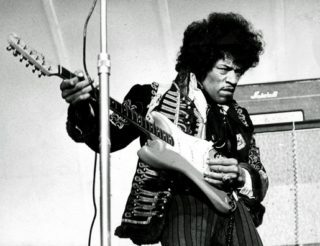 The point is to begin really listening to those guitarists. Don’t just groove along to the music and have a good time—start tuning in closely to what they’re playing and imagining how they’re playing it. In your mind, shut out all the instruments and concentrate on just the guitar. You’ll hear some pretty neat things! See if you can figure out what they’re doing. You’ll probably find a how-to video on YouTube to help you. We’ve listed our best Youtube Channels here. So there you are—New Year’s resolutions don’t have to be about torturing yourself over giving up nice things or going on a crazy diet. Instead, make them about improving your musicianship and becoming a better guitar player. Stick with them and in twelve months time the sky might be the limit for next year’s promises and goals. Can you think of any other New Year resolutions that will help guitar players? Let us know in the comments.